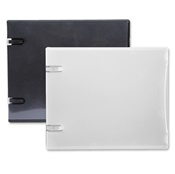 For a medium size media project, CD wallets are the perfect storage and organizing solution. Protect, store, and transport discs with ease and peace of mind. 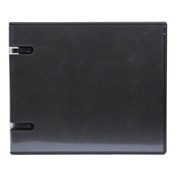 Wallets offer 2 ring spacing for medium size projects or collections with a huge variety of sleeves available. Choose from sleeves with or without flaps, single or double discs, and with or without literature. You should be able to find the perfect CD wallet case from our sizable collection that will fit any project you have.